Can a health coaching intervention delivered during pregnancy help prevent excessive gestational weight gain? 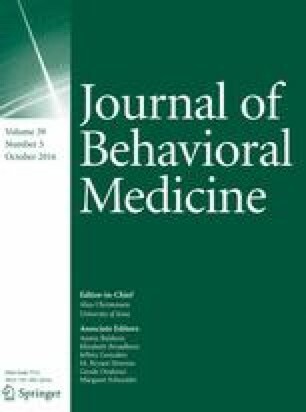 This study evaluated: (1) the efficacy of a health coaching (HC) intervention designed to prevent excessive gestational weight gain (GWG); and (2) whether there were improved psychological, motivational, and behavioural outcomes for women in the HC intervention compared to a “usual care” control group. In this quasi-experimental study, 267 pregnant women ≤18 weeks gestation were recruited between August 2011 and June 2013 from two hospital antenatal clinics in Melbourne, Australia. Intervention women received four individual HC and two group HC/educational sessions informed by theories of behaviour change. Women completed questionnaires assessing psychological, motivational and behavioural outcomes at 16–18 (baseline) and 33 (post-intervention) weeks gestation. Weight measures were collected. Compared to usual care, the intervention did not limit GWG or prevent excessive GWG. However, HC women reported greater use of active coping skills post-intervention. Despite lack of success of the HC intervention, given the risks associated with excessive weight gain in pregnancy, health professionals should continue to recommend appropriate GWG. The online version of this article (doi: 10.1007/s10865-016-9743-9) contains supplementary material, which is available to authorized users. We would like to thank the staff at the Eastern Health and Western Health antenatal clinics for their support of the study, and our participants for taking part. There are no conflicts of interest to disclose. Briony Hill was funded by a National Health and Medical Research Council (NHMRC, Australia; GNT1018000) Ph.D. Scholarship. The Health Coaching portion of this study was funded by a NHMRC Project Grant (GNT1009324). Briony Hill, Helen Skouteris, Matthew Fuller-Tyszkiewicz and Skye McPhie declare that they have no conflict of interest.